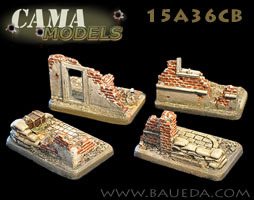 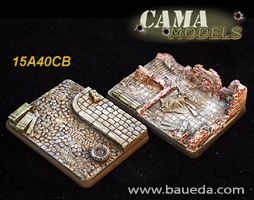 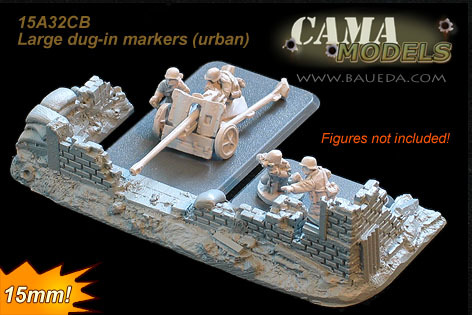 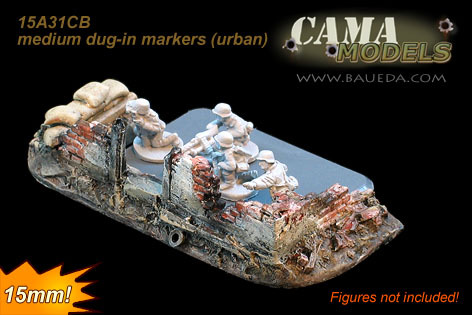 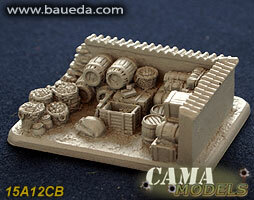 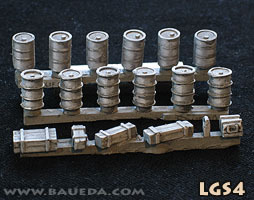 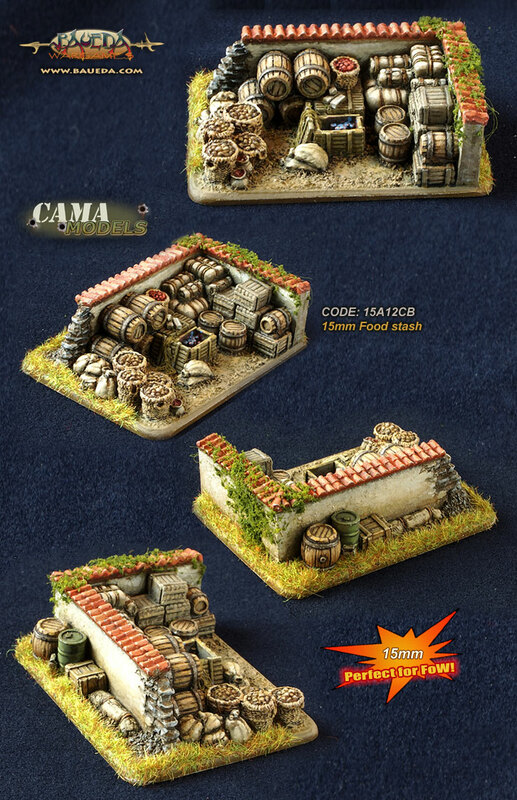 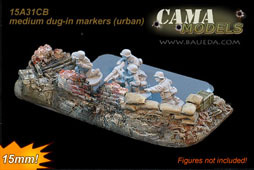 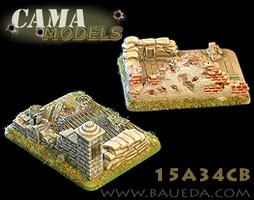 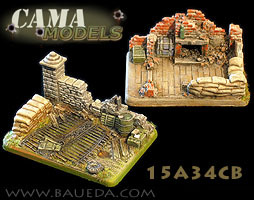 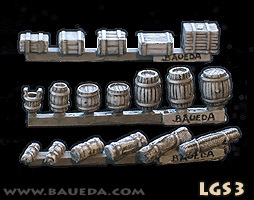 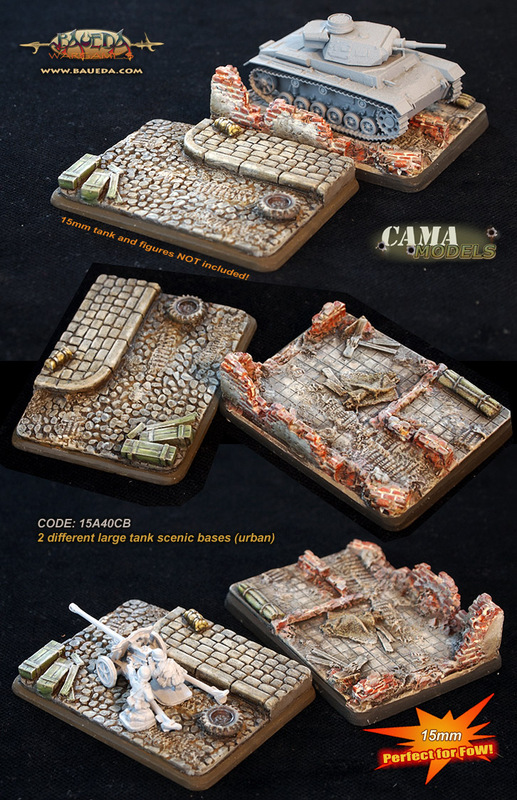 15mm WWII "urban" theme - compatible with Flames of War AVAILABLE NOW! 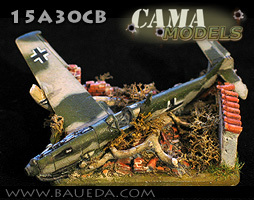 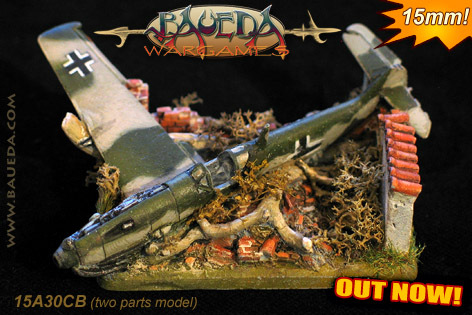 Downed BF109e + small base. 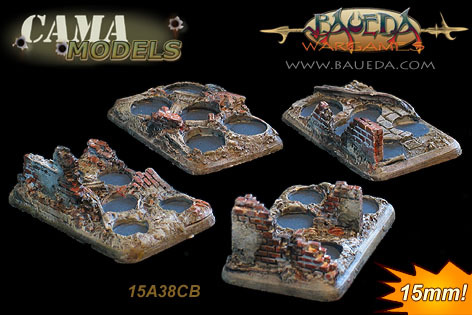 Perfect as a game objective marker this model is cast in our usual tough polyurethane resin and in the same size of a large FoW base. 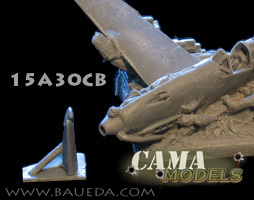 As you can see the model is basically a single piece like our other objectives, but also comes complete with an optional right side rear wing, which can be left out or pinned on as you prefer! 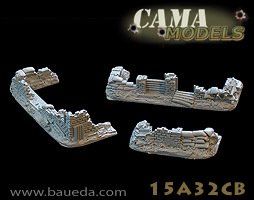 It has plenty of beautifully sculpted, deep carved details to help you in painting, including an accurate reproduction of the actual Messerschmitt engine interior! 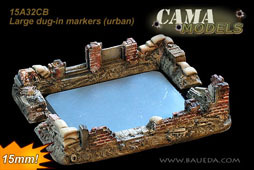 Comes complete with a small scenic base suitable for command units, snipers, observers, etc. 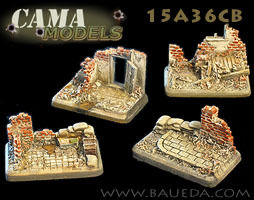 selected at random from 10 different variations. 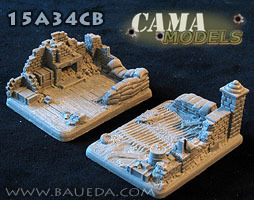 15mm Advanced Command post (urban) + small base. 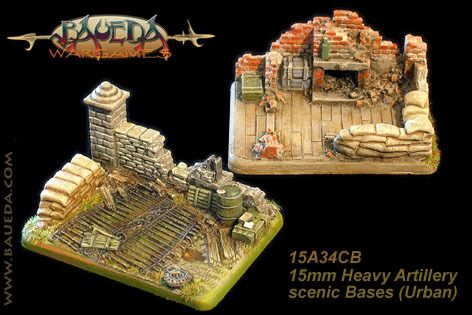 Perfect as a game objective marker this model is cast in our usual tough polyurethane resin and in the same size of a large FoW base. 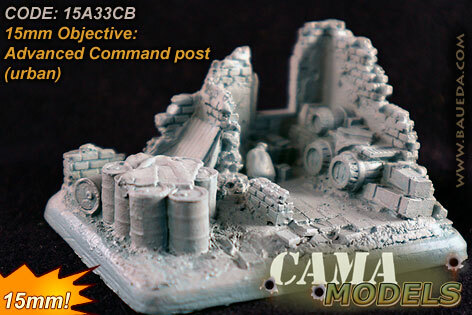 As you can see the model is a single piece like our other objectives, no assembly required! 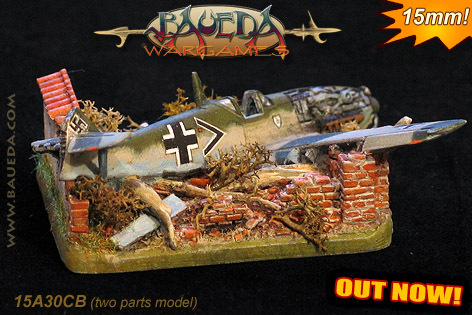 It has plenty of beautifully sculpted, deep carved details to help you in painting, including an accurate reproduction of the actual Messerschmitt engine interior! 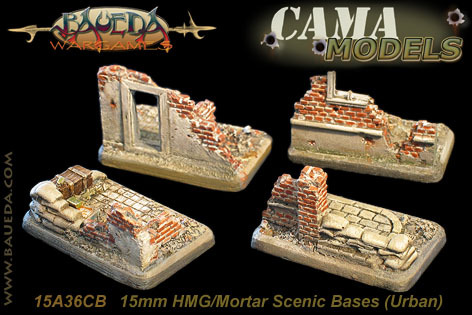 Comes complete with a small scenic base suitable for command units, snipers, observers, etc. 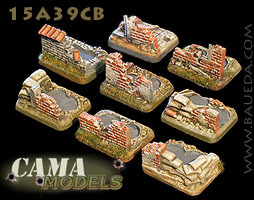 selected at random from over 20 different variations. 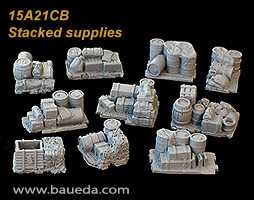 Food stash + small base. Perfect as a game objective marker this model is cast in a sigle piece tough polyurethane resin and in the same size of a large FoW base. 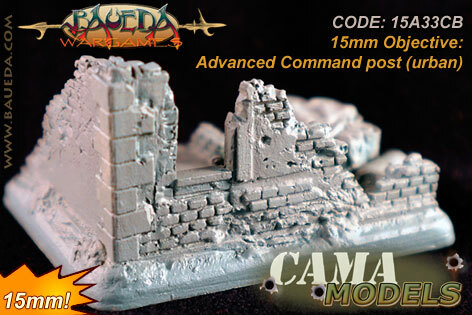 It has everything your army needs to celebrate properly after victory, all with plenty of beautifully sculpted deeply carved details to help you in painting! 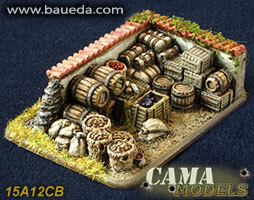 Comes complete with a small scenic base suitable for command units, snipers, observers, etc. 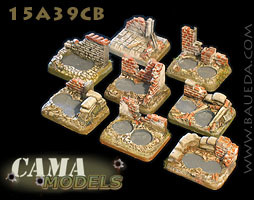 selected at random from over 10 different variations. 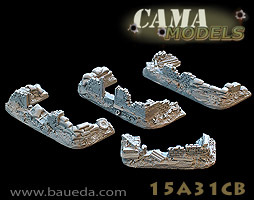 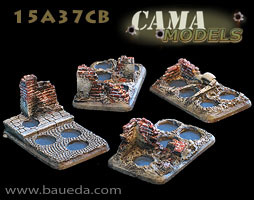 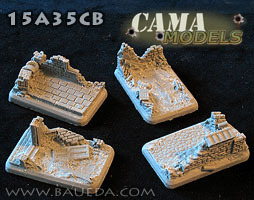 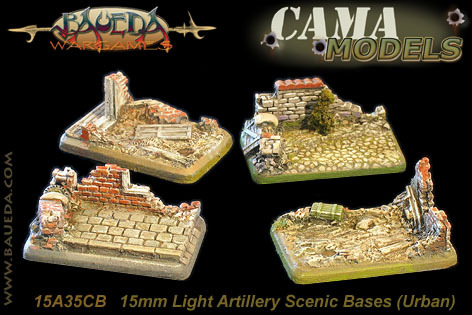 4 different HMG/mortar scenic bases (urban) each 50mm wide by 32mm deep (2" x 11/4"). 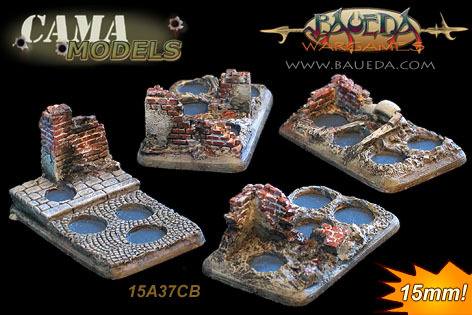 A set of bases cast in tough polyurethane resin in the same size of a medium (wide) FoW base. 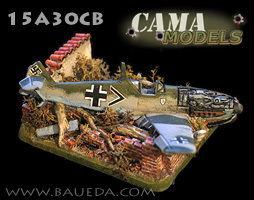 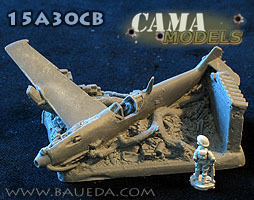 These are in the same style as 15A35CB above but while those "gun" bases have ruins or a hastily built repair setup at the front to allow the gun and crew to be positioned facing the depth of the base, these are designed to be used with the long side as the front, and the surface details are arranged consequently. 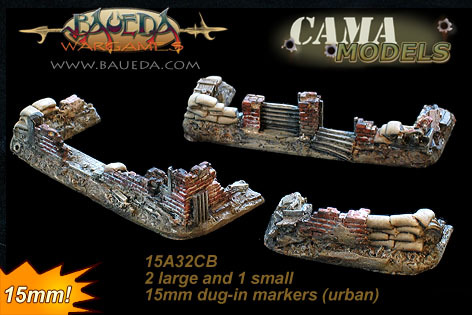 They are perfect also to use for infantry as well as Heavy weapons, and nothing stops you to use them for anything else that fits with your games of course! 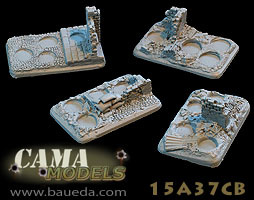 four different 4 holes Infantry scenic bases (urban) each 50mm wide by 32mm deep (2" x 11/4"). 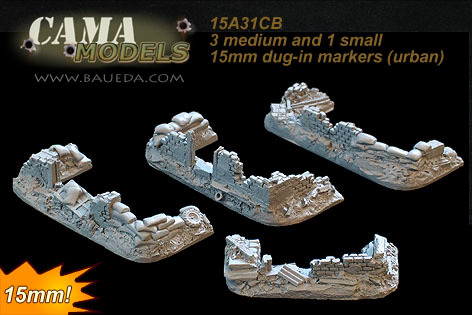 A set of four bases cast in tough polyurethane resin and beautifully sculpted to accommodate four 15mm figures. 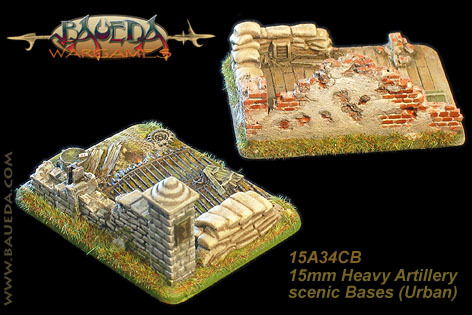 While the bases from Battlefront are effectively flat these are approximately 2mm thick and on top of that there is textured terrain and details added. 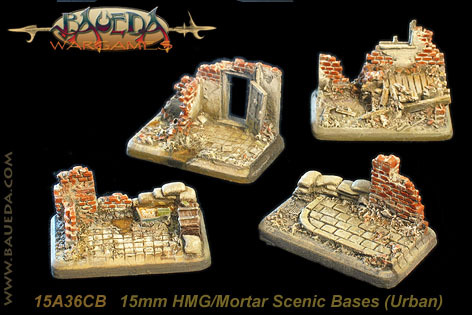 As a consequence you can easily pick these bases up from the edges, meaning that you�ll never have to grab the figures themselves anymore! 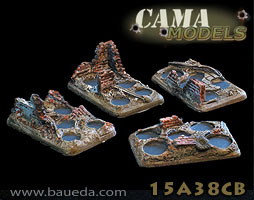 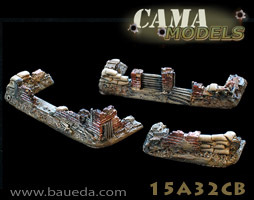 Designed to be fully compatible with Flames of War standard basing, the surface include ruined buildings rubble and all sort of improvised repairs that troops will naturally look for and use for cover while moving. 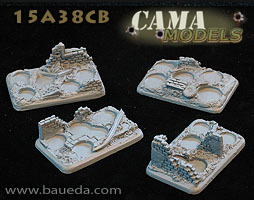 four different 5 holes Infantry scenic bases (urban) each 50mm wide by 32mm deep (2" x 11/4"). 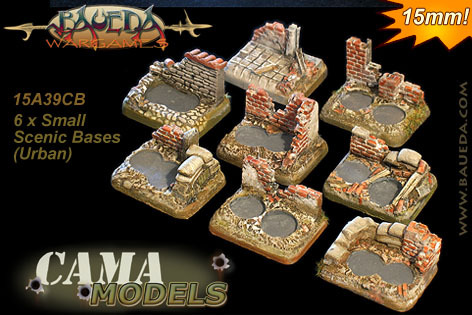 A set of bases cast in tough polyurethane resin and beautifully sculpted to accommodate five 15mm figures. 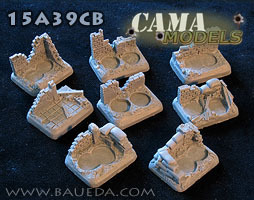 While the bases from Battlefront are effectively flat these are approximately 2mm thick and on top of that there is textured terrain and details added. 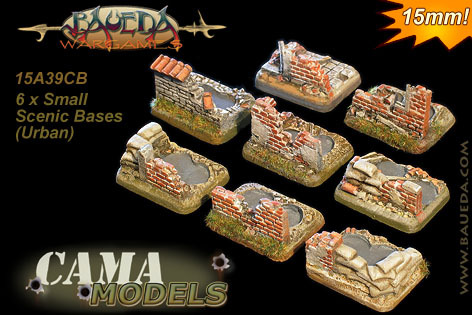 As a consequence you can easily pick these bases up from the edges, meaning that you�ll never have to grab the figures themselves anymore! 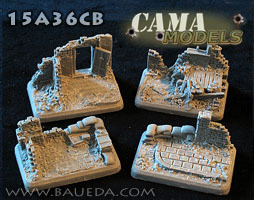 Designed to be fully compatible with Flames of War standard basing, the surface include ruined buildings rubble and all sort of improvised repairs that troops will naturally look for and use for cover while moving. 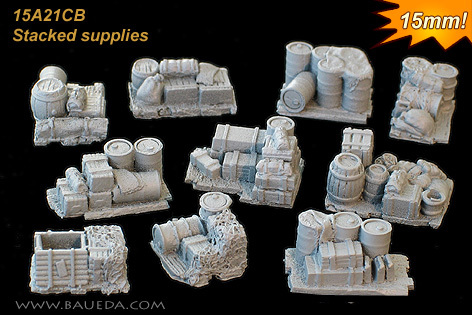 Cast in tough polyurethane resin and designed to be fully compatible with the small size for Flames of War bases, these are ideal for command, snipers, observers, weapon teams and anything else required to have only a couple of figures on a base. 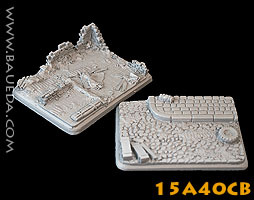 The surface include all sorts of warthorn urban landscape remains: ruined buildings and improvised repairs that such troops will naturally look for and use for cover. 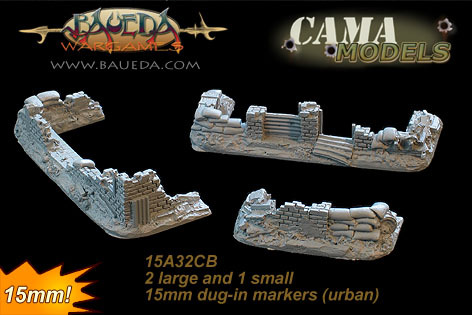 Needless to say, plenty of deep carved details to help you in painting these!